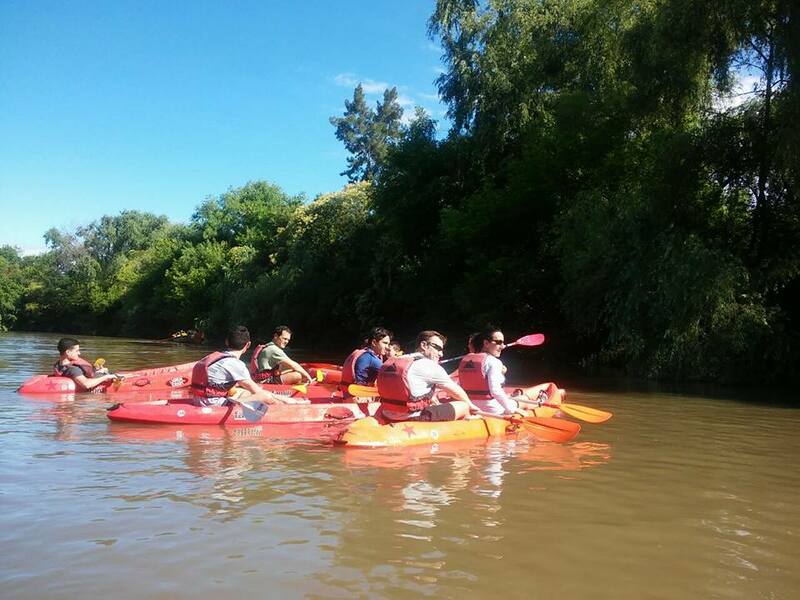 An adventure day: riding a train, biking and kayaking in Tigre and the Delta. 32 kilometers to the northwest of Buenos Aires we find Tigre town and the Delta of the Paraná river, a special place where nature invites to a unique experience. 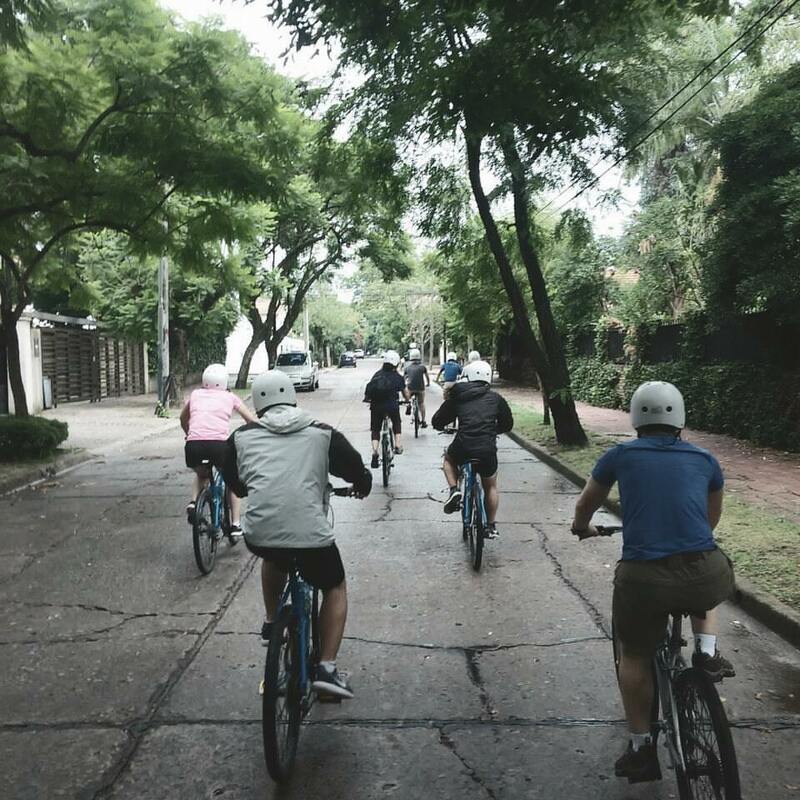 A cycling tour of Tigre and kayak rowing into the Delta offer a wide range of possibilities to combine both sport and culture in a beautiful setting. 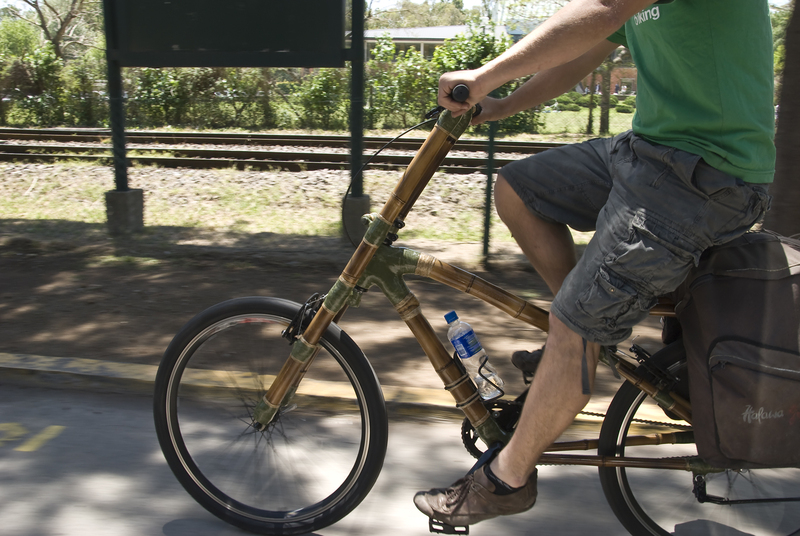 You can pick the kind of bike and maybe choose a bamboo one! This tour starts at the meeting point at the Botanic Garden in Palermo, where after picking up our bikes and helmets from the shop we have a technical and safety briefing. Then we start pedaling towards the green parks of Palermo until Lisandro de la Torre train station. Here we take the public train and soon we are out of the city of Buenos Aires and into the northern suburbs. The change of scenery is very noticeable along the way! We get off in La Lucila and ride our bikes to Tigre. On the way we make a few stops to learn about the surroundings such as San Isidro, San Fernando and the Río de la Plata itself. According to tradition, a jaguar (yaguareté, popularly called tigre) used to live nearby a stream, which later was named Tigre after the local people killed the animal to preserve their homes and lives. This zone used to be inhabited by jaguars but with the forward move of human population they became extinct. Nowadays just a few remain only in the Misiones’ jungle. The Tigre Delta is one of the largest in the world and also one that doesn’t flows into the ocean but into the Río de la Plata, which separates Argentina and Uruguay. With its islands and canals, Tigre is usually called the “Venice of South America”. Also, during colonial times, this area was used as a smuggling port, where the portuguese passed through their merchandise. Going over Tigre town, we pass by two classic spots. First, the Puerto de Frutos, which used to be a fruit market in the old days but nowadays is a place where the traditional values and new design concept coexist. This is one of the main attractions in Tigre and can be visited every day. An open air colorful market and shopping mall with diverse and eclectic shops such as antiques, furniture and decoration, artisanal products in leather and wicker, candles, garden centers, fruit shops, pickles and cold cuts. 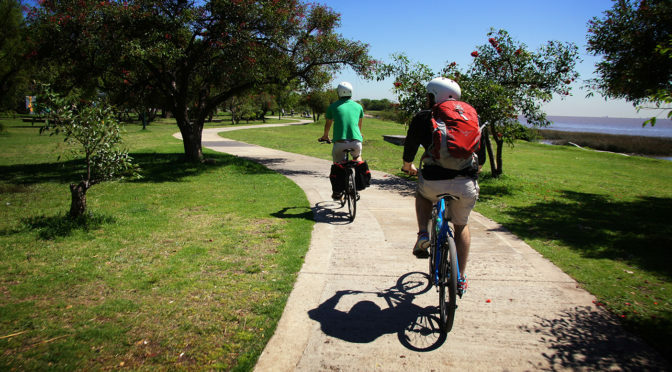 Then we ride along the Paseo Victorica, a picturesque short street along the edge of the Luján river that provides different gastronomic options, museums and rowing clubs. 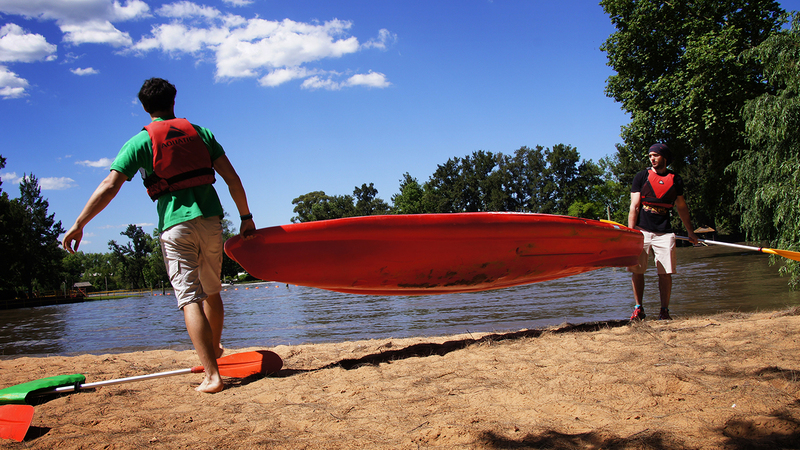 At one of these clubs we leave our bikes and get into the kayaks for the paddling adventure. After a short briefing and instructions, we get into the Delta waters and row slowly, enjoying the drift, towards an island. At the island, a tasty asado is waiting for us. We share this Argentine ritual by excellence within a natural environment, at a table by the river. We try different meat cuts, have a drink, relax and enjoy the quietness of the Delta while we rest for a while. Before getting too comfy, we grab our oars again and return to the kayaks to row back to the club where we left our bikes. With the sun going down, we ride again towards the Tigre train station, where we take the train again towards Lisandro de la Torre station. The bike tour is not over yet! We have a last stretch back to the meeting point in Palermo. 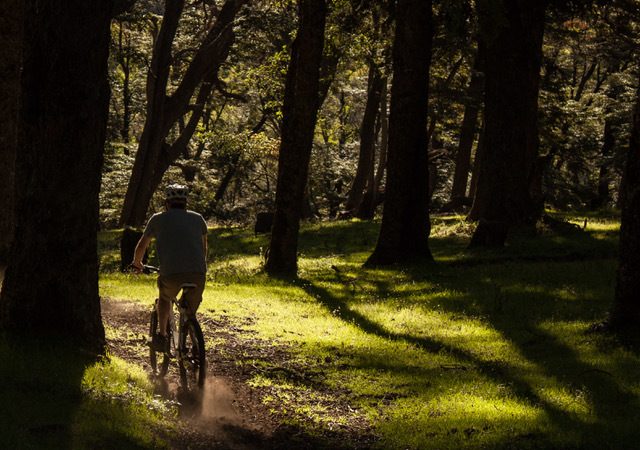 Biking and kayaking are two sporting activities that complement each other perfectly for an active tourism trip. The town of Tigre and the islands of the Paraná river are an oasis of natural landscapes and beautiful scenery unparalleled by other Buenos Aires sightseeing tours. Full day regular excursion (9 hs). Departs Monday to Friday at 9 am from meeting point in Palermo. Roundtrip Transfers to/from the meeting point not included. Difficulty: Low / Medium, but the activities are done at a peaceful and relaxing pace. Private service available upon request. Minimum Age Requirement: 12 years and older. Ages 18 and under accompanied by an adult. English speaking guide (ask for other languages). 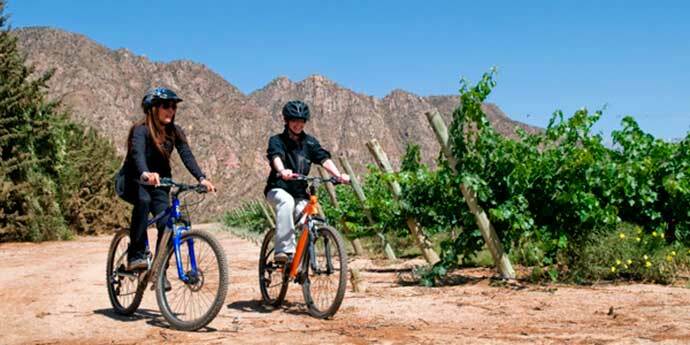 Ride a bike and wander on your own through the vineyards in Mendoza. Enjoy the scenery & taste the secrets of our wines. This wine journey takes you to Mendoza, where you will ride in the vineyards of renown wineries and learn about what makes this region so special for this industry. The idea is to enjoy the landscape, the excellent wines and also to learn their secrets. 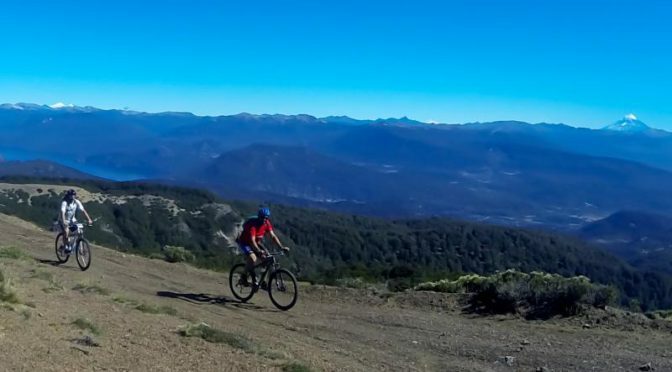 The meeting point is in Chacras de Coria town (16 km far from Mendoza), where the bikes are delivered. After an introductory briefing and suggestions about the wineries available in the surroundings, you can select the ones you want to visit according to your interests. 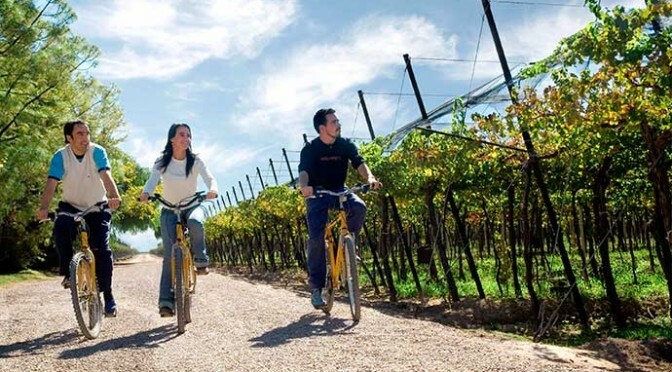 The guide will make the reservations at the chosen wineries before you start biking. Then, start cycling! You will make three stops according to the grapevine produced in this region: Chardonnay, Syrah and Malbec. At every stop there’s a wine tasting and an expert leads you through the different varieties, irrigation systems, and the benefits of different vine training systems. Each tasting is paired with a regional cheese and cold cuts platter so the flavours of the different grape vines are accentuated. The last winery to visit usually also has a restaurant, so you may have a regional or gourmet tasting lunch (depending on the place), also paired with the most excellent local wines. 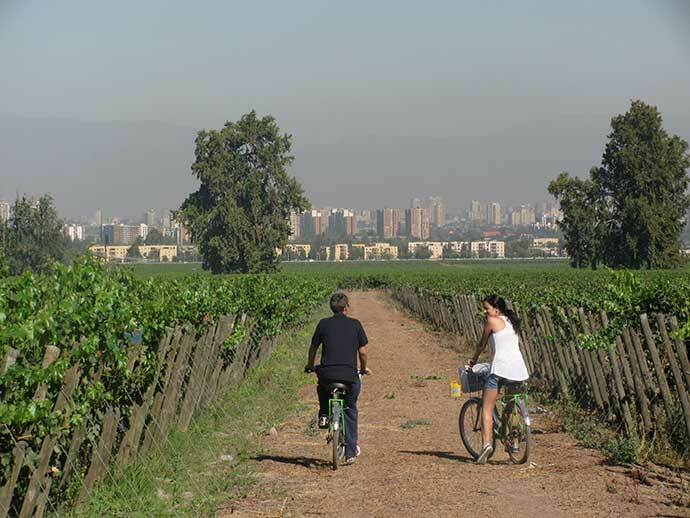 You must be back at Chacras de Coria’s meeting point by 4 pm to return the bikes, so after lunch there’s still some time left to visit a couple of wineries more to complete the vineyards experience. Bikes are sustainable vehicles and in combination with a must-see landscape this becomes a very entertaining outdoors activity. 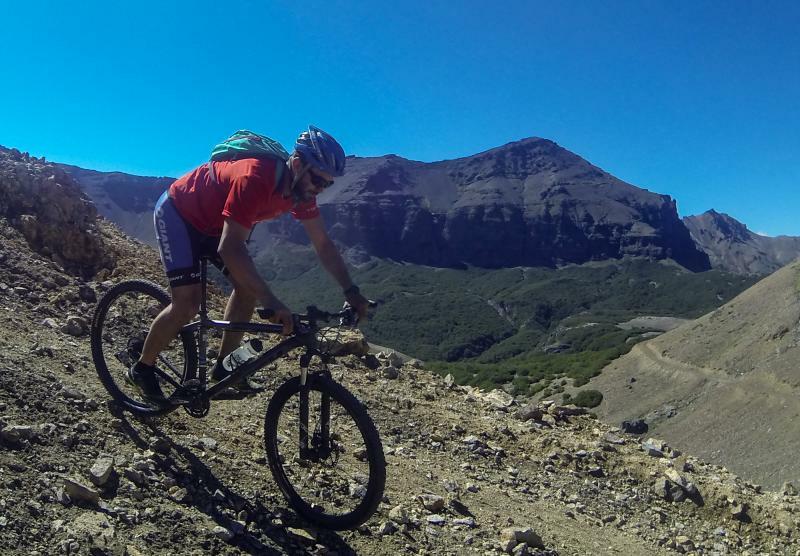 Travelers are more and more focused on experiencing and not collecting destinations, therefore this bike tour offers a fun option and the certainty of a unique experience in its style, in contact with nature and good wine, so typical of this region. Days of operation: Mondays through Saturdays. Includes: bike with helmet, map and a bottle of water. 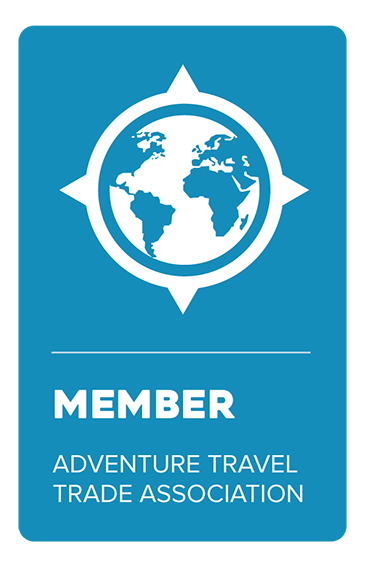 Not included: roundtrip transfers to the meeting point, entrance fees to the wineries, meals, tips, extras. Some of the suggested wineries for visiting are Clos de Chacras, Nieto Senetiner, Alta Vista, Vistalba, Lagarde, Kaiken, Carmelo Patti.